In Columbus and Franklin County, Ohio, local police officers, state troopers, and their cruiser are often equipped with digital recording devices that capture visual records of stops and arrests for operating a vehicle while intoxicated (OVI). 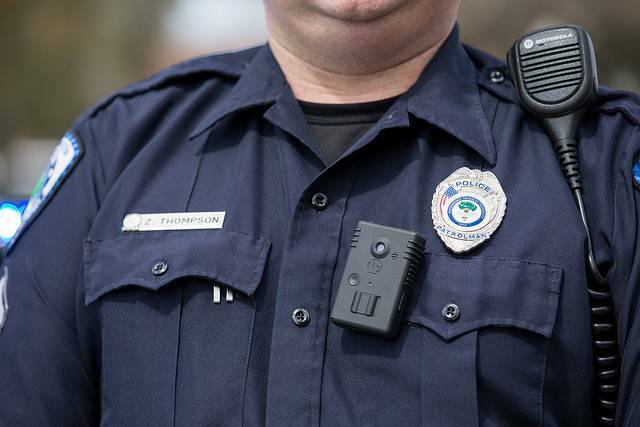 Footage from dashboard cameras and body cams, which can legally be supplemented by recordings bystanders make on smartphones, is used in different ways by officers, prosecutors, and drunk and driving defense attorneys. Understanding what video can and cannot show, as well as how video footage can support or contradict spoken and written accounts of an incident, can make the difference between getting convicted of OVI and being acquitted or having the charge dismissed before a trial. Columbus allows city police officers to review body cam footage while preparing arrest reports. In theory, this means that the written descriptions of the OVI suspect’s appearance, statements, behavior, and field sobriety test performance should match the visual record. That theory is not always happens in reality. The city or state attorney tasked with securing a drunk or drugged driving conviction will select the scenes that most clearly support the contention that the OVI suspect was under the influence of alcohol or drugs. Digital video entered into evidence by an attorney prosecuting an OVI case will focus on slurred words, a dropped wallet, stumbles, and any type of argument or refusal to comply with a direct order. Showing only the parts that police and prosecutors consider “highlights” is legal and, in some ways necessary. OVI stops can last for an hour or longer before an arrest occurs. In order to supplement that record, a Columbus OVI defense lawyer should request the viewing of additional segments showing normal sober behavior. One of the first things a drunk and drugged driving defense attorney will do for their client is request access to any dash and body cam footage police recorded. Attorneys will then work to find videos shot by security cameras and witnesses. Last, they will insist that the prosecutor share details on which parts of the available videos will be shown to the judge during trial. Criminal and traffic defendants cannot be denied their right to review and challenge all the evidence that will be used against them. What happened before and after the clips the prosecution wants to show often tell a different story from the one being pushed by the arresting officer. At the same time, footage taken from angles other than the ones available to dash cams and body cams add details that will be missed otherwise. A defense attorney will ask a judge to consider this additional evidence and, when appropriate, raise objections to the ways the prosecutor wants to use partial footage. Sometimes, a whole video shows a reality totally at odds with what the arresting officer describes in written and oral testimony. This can happen when the arresting officer refers to the suspect being “falling-down drunk,” but video shows the person performing field sobriety tests flawlessly. When that happens, a judge has little choice but to rule for the defendant. Learn how a Franklin County OVI defense lawyer can put video to work for you by calling The Maher Law Firm at (614) 205-2208. You can also request a free case consultation online using our contact form.